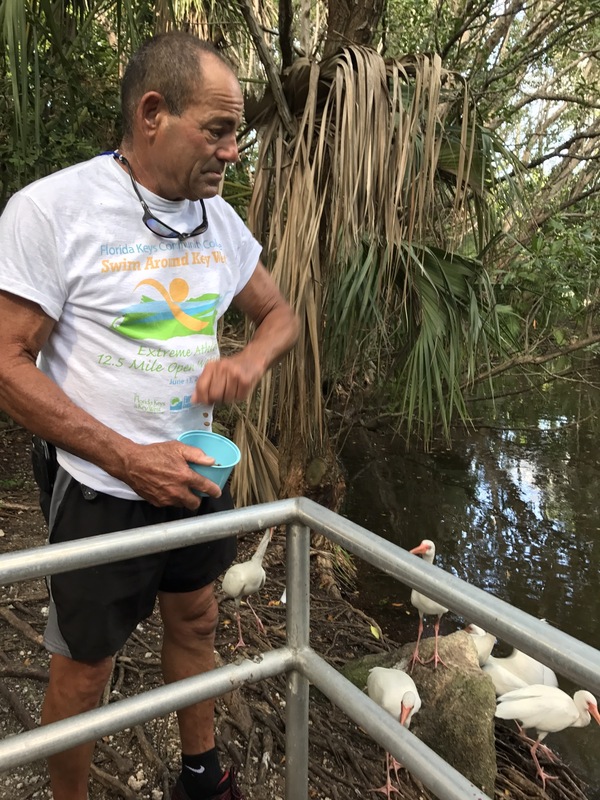 When we ride Lloyds Tropical bike tour the highlight for me is always the Key West Wildlife Rescue where he calls the ibis. I love drawing them as much as I love drawing the chickens. 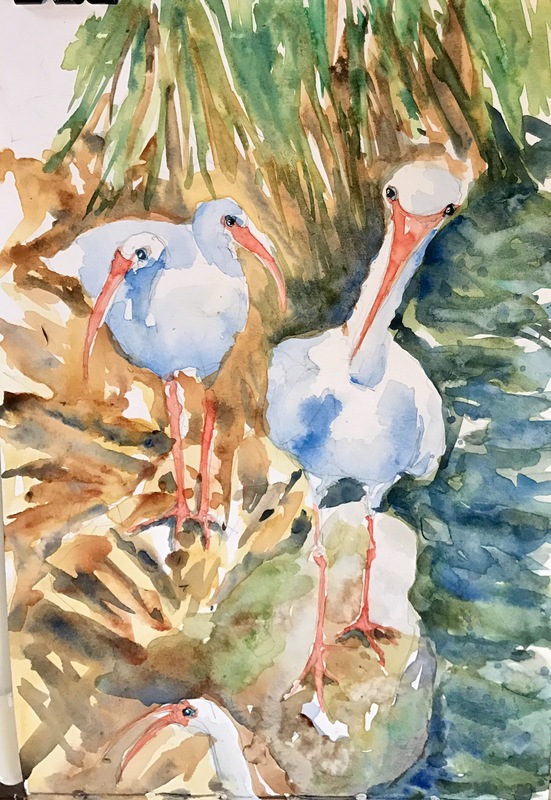 No Key West sketchbook is complete without the ibis and the chickens. 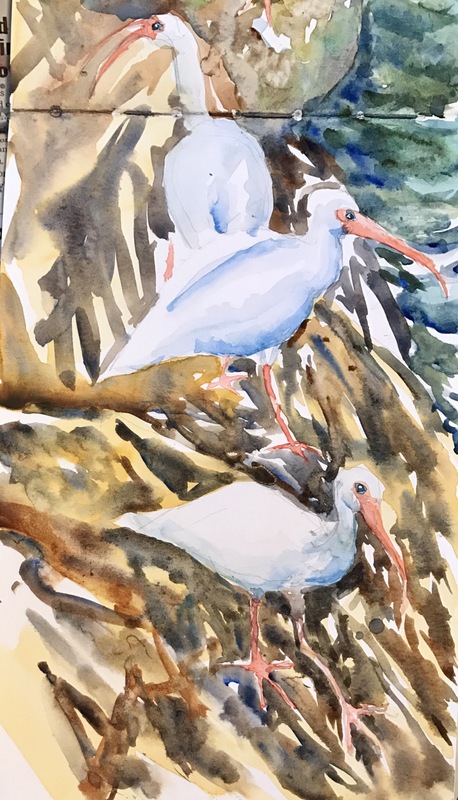 These ibis were very intent on Lloyd who had been feeding them. Hoping for more food they follow him like trained dogs. Trying to decide whether or not to go back and splatter the brush. Mostly painted with Ted Nuttalls transparent colors in my Stillman and Birn Zeta. I laid down a light wash of Daniel Smith Quin gold adding burnt umber and ultramarine blue in the dark areas and quin burnt orange in the light areas. The water is Daniel Smith hematite green and Marine blue with bits of ultramarine blue. The legs and beaks are pyrrole red and aureolin yellow.